What to Feed Your Baby: Cost Conscious Nutrition for Your Infant presents vital information that will help parents provide optimal nutrition for their infants in a cost effective way. The author's clear explanations and thoughtful recommendations are often surprising, occasionally startling, sometimes controversial, and always useful. 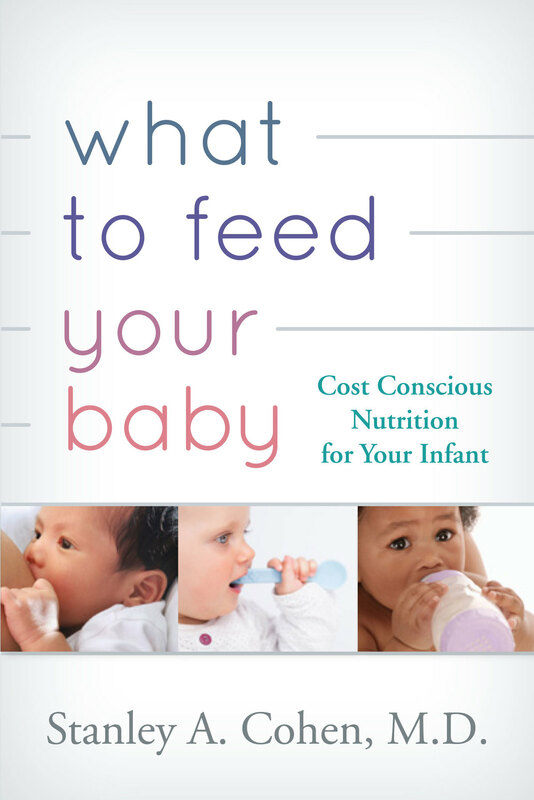 "Words of wisdom, recommendations and friendly advice from Dr. Stan Cohen take the guesswork out and provide a blueprint for healthy and affordable infant nutrition. Every new mom needs a copy of this practical and great resource on her bookshelf before the baby arrives." "Dr. Stan Cohen has written an exceptional book filled with practical, personalized and cost-conscious advice applicable for parents and care-providers of infants and young children. Case vignettes interspersed among scientifically sound information yield wonderful essentials for parents of healthy children and of children afflicted with common complaints and disorders in early childhood. An invaluable resource for all new parents." "I had the opportunity to read it and recommend it as an excellent resource for parents. This book is not just for selecting formula and introducing foods, but it also reviews gastroesophageal reflux, colic, stooling problems, poor weight gain, overweight issues, prematurity, and allergies." "Parents who worry about properly and affordably feeding their infants during the first year of life…will learn a lot from this thoroughly researched, infant-nutrition guidebook." "[T]his fact-packed resource…covers recent and traditional pediatric nutritional science in 16 concise chapters structured in a question-and-answer format, and a thorough appendix…As an experienced doctor, Cohen has seen it all."